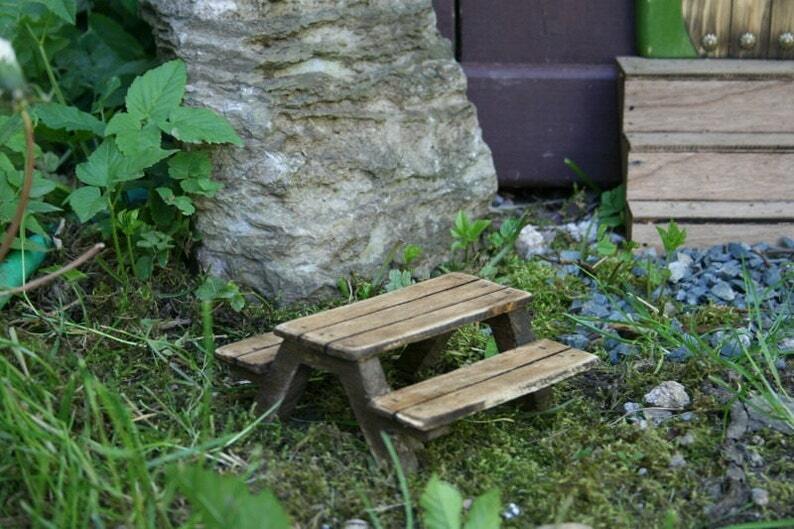 You are commissioning me to construct a whimsical miniature Faerie picnic table for the Wee Folk in your garden like the one pictured. The table approximately 5 inches wide by 6 inches long by 2.5 inches high. I love all of the items that I purchased from NothinButWood. He also kindly reimbursed unused shipping charges! Wonderful!!! Perfect match to your other pieces!! Can't wait to make a dry river bed of stones for it to bridge! Thank you very much! Love all your pieces!!! 5 Stars plus!! Exactly what I was hoping to buy. A perfect fairy door to create a magical garden with.